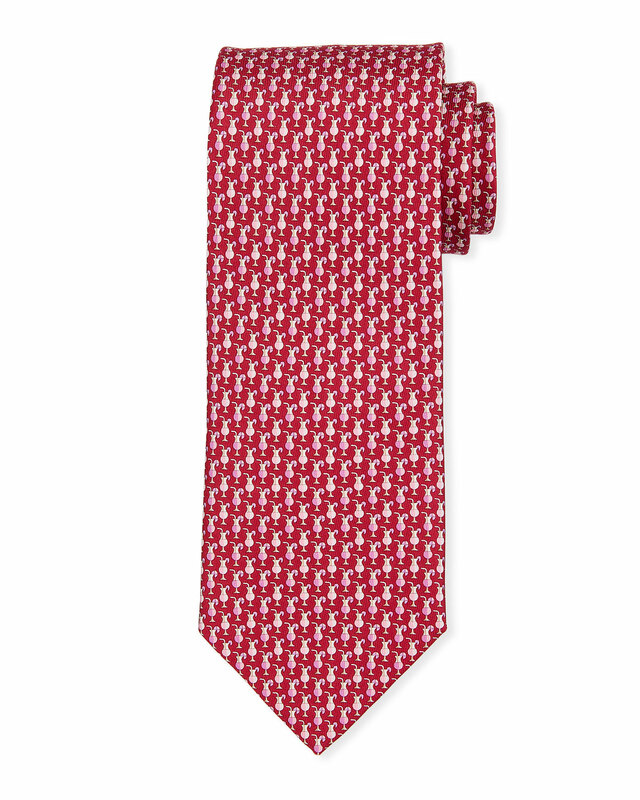 Salvatore Ferragamo tie featuring cocktail print. 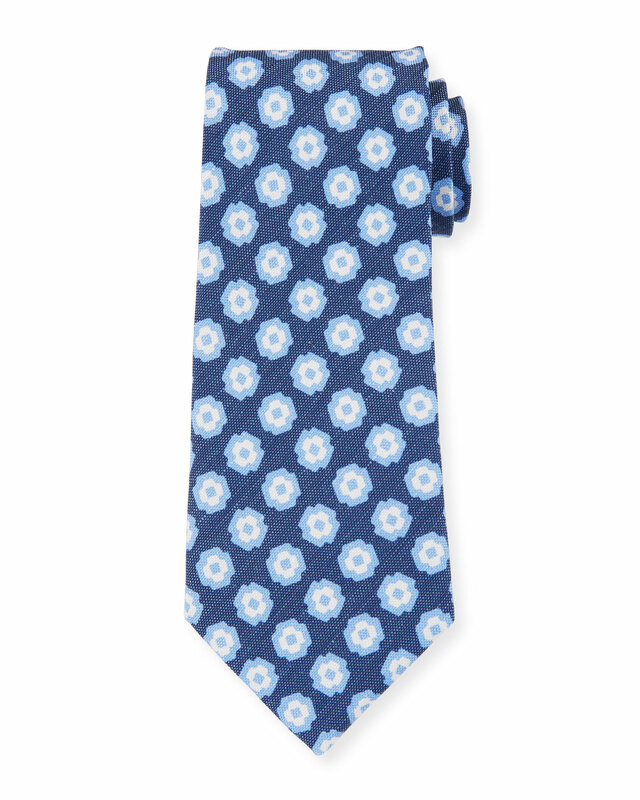 Brioni tie featuring tonal paisley print. Choice of TAN or BLUE. 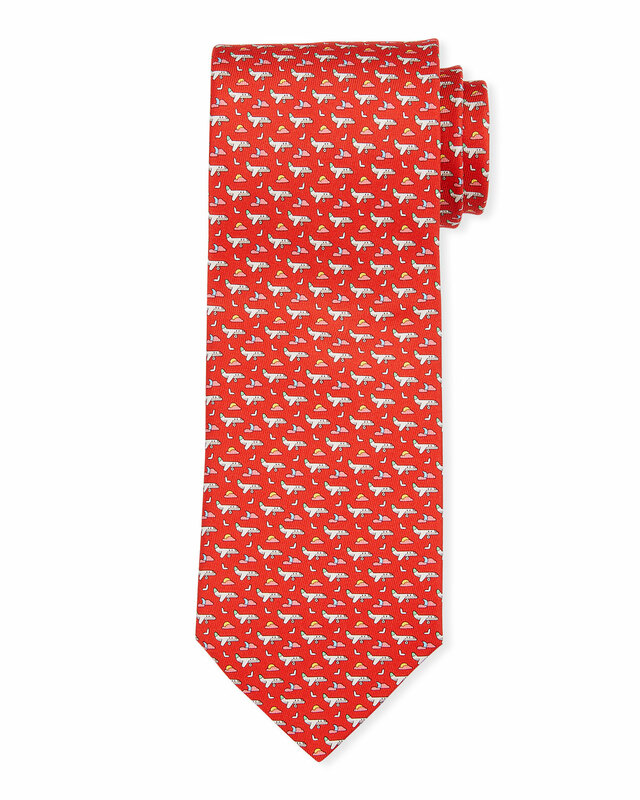 Salvatore Ferragamo tie in airplane-print twill. 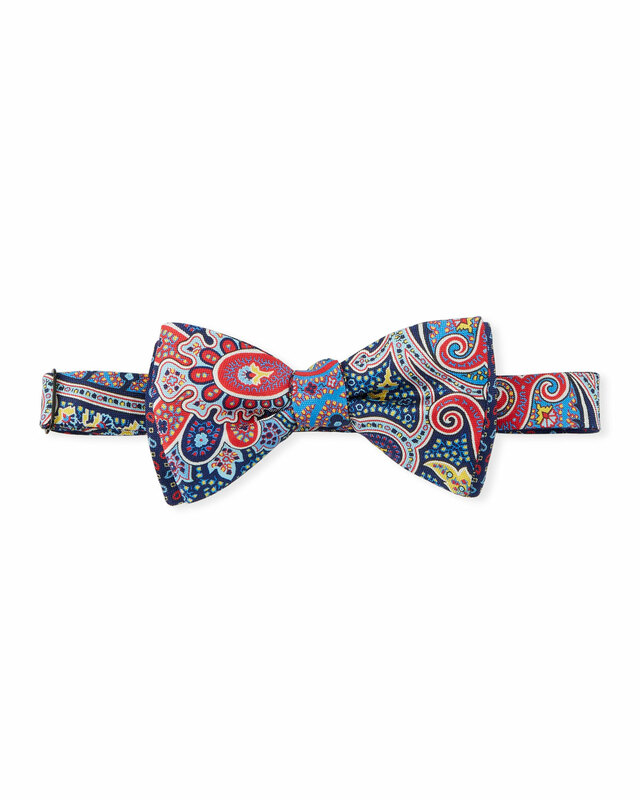 Edward Armah bow tie in paisley printed twill with polka-dot reverse. Petronius 1926 tie in large-floral print. 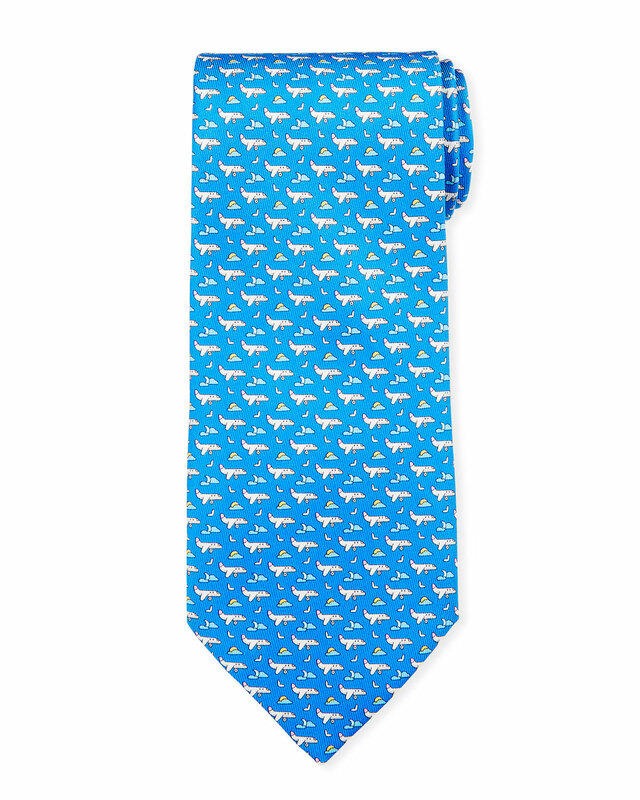 In fine silk this classic tie in solid black features a slim narrow cut and a contrast blue tail.